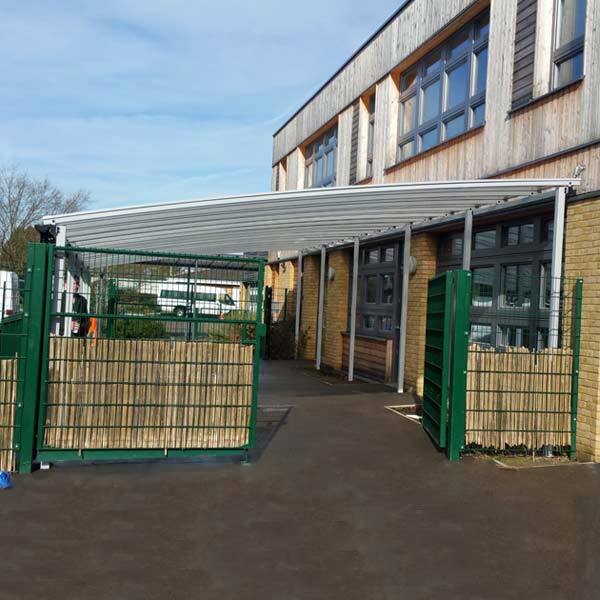 Simon Balle School contacted NBB in need of a shelter measuring 16000 x 6000mm to create cover over three entrances. 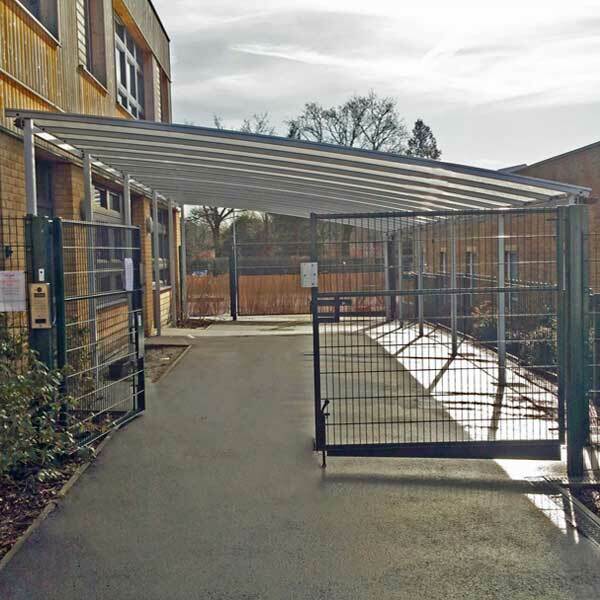 Our site surveyor visited the school to discuss their requirements in further detail, together it was decided a bespoke version of our Winterbourne Freestanding Shelter was best suited. NBB School Shelters were on hand to help from initial concept design to the final installation. The end result is a contemporary shelter finished in Silver RAL9006, which blends in ascetically with the surroundings. Our shelters have guarantees of up to 25 years and require little maintenance, to find out how to maximise the longevity of your shelter download the Maintenance Guide free from our website. Furthermore we offer maintenance products which can be purchased online from as little as £10, visit our site for the full range.